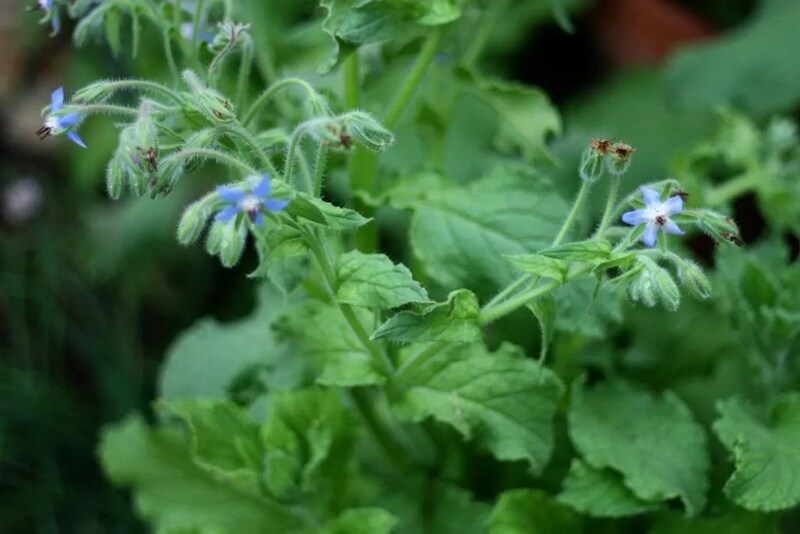 Home » What is Borage? 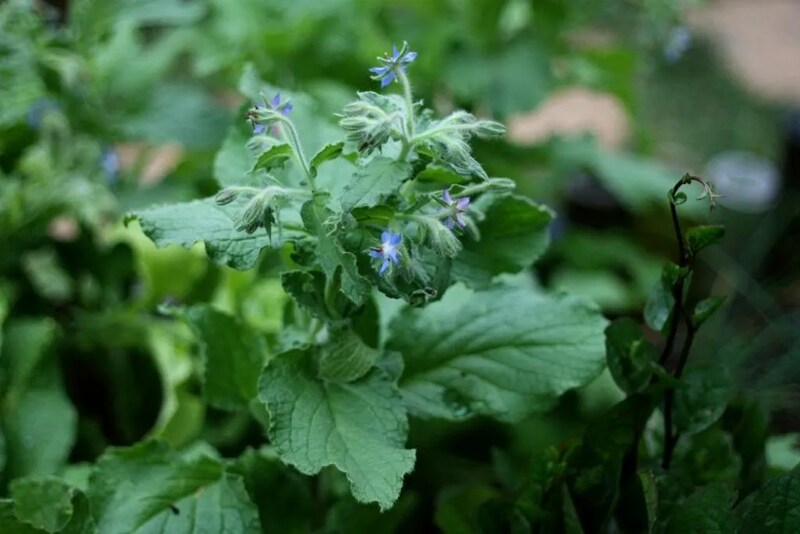 Most people I talk to have never heard of Borage and I hadn’t either, until I found it in one of my seed catalogs and decided to give it a try in my herb garden. In most parts of the United States, it’s considered a weed, but in many parts of Europe, it’s used in cooking and medicinally as an oil preparation. I don’t know much about its medicinal properties, so I’ll just tell you what I know about its culinary purposes. Borage is a beautiful plant that grows about 3 feet wide. 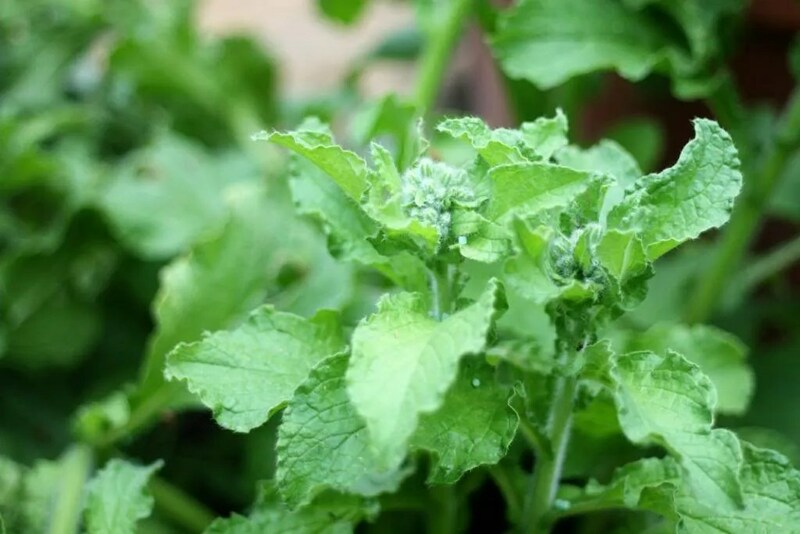 It has dusty green leaves that have tiny “hairs” on them, similar to Lambs Ear. As it matures, it sends up larger stalks with beautiful royal blue star shaped flowers on them. The taste is definitely interesting; you would swear you were eating a cucumber without the cucumber texture. It’s practically identical in taste to a cucumber, so it goes very well in salads. You need to chop it finely or cut in a fine chiffonade to avoid the off-putting texture of the hairs. 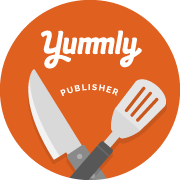 It is also delicious cooked as any other green or combined in cooking with other greens, like Swiss Chard, Spinach or Mustard Greens. The cooking process gets rid of the hairs. I have read that in parts of Italy, Borage is lightly cooked and combined with other greens, seasonings and cheese and used as a pasta stuffing ~ I’m going to have to give that a try! Another good quality is that the flowers are edible and make a pretty addition to salads. They can be used fresh or candied with a little egg wash & sugar. I love this plant. It makes a beautiful conversation piece to any herb garden or landscape and is delicious and pretty to look at to boot!